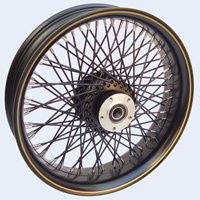 Rim, hub, spokes and any other part of a motorcycle can be finished as Polished, Chrome Plated , Black Chrome Plated (NEW), Black Nickel Plated (NEW), Gold Plated, Anodized (for aluminum parts) and Powder Coated. 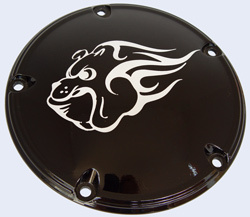 Powder coating includes Standard colors, Transparent (“Candy”), “Black Chrome”, Sparkling Chameleon (“Mystery”), Metallic, Clear Coat and more. Glossy or matte. We built our reputation by providing our customers with high quality powder coatings combined with outstanding customer service. Contact us if you need more information on specialty colors. Powder Coating, unlike paint or chrome plating, offers a superior finish while adding valuable performance properties like resistance to extreme weather conditions as well as corrosion, heat, solvents, chemicals, U/V rays, impacts, and abrasions. 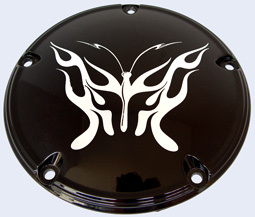 Powder coating is an industrial finish and very durable, and it is also very attractive. Double click "Color Wheel" to open RAL Classic Color samples (shown may vary slightly from actual paint due to monitor processes). 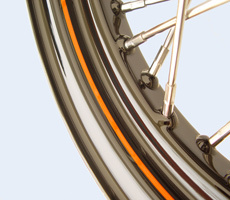 Our new technique allows us to offer the wheel powder coating in Harley Davidson Colors. These colors are a close match of the ones used by Harley. Below is a sample that represents the colors already matched by our specialists. If you do not find your color listed here; Don't worry, we can still help you complete your project! Just send us a small painted sample of the color you need. The colors shown are only representative and not the actual color. The color shown on your monitor will be different from the same color on another monitor. 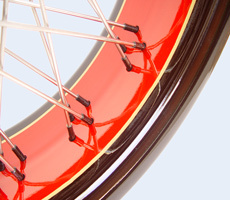 Pinstripe can really dress up a wheel! 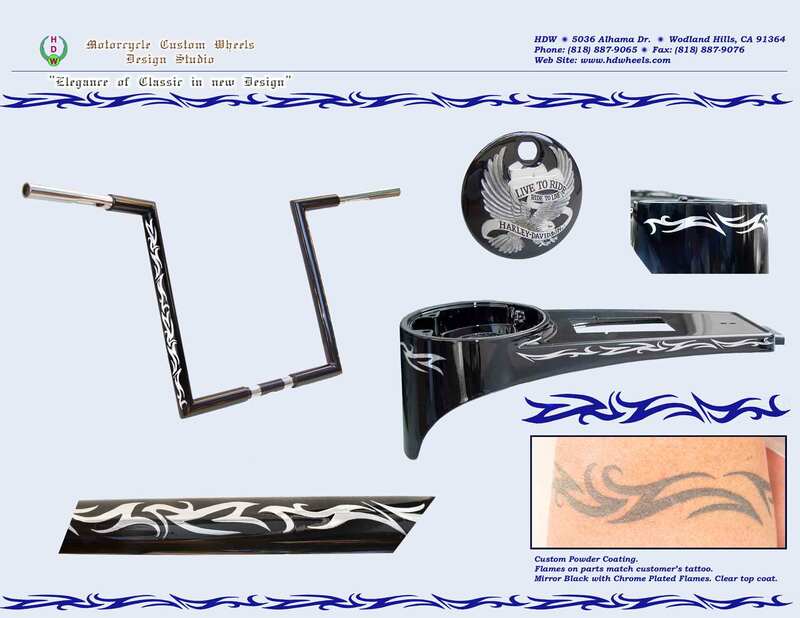 We can match your Art Design.